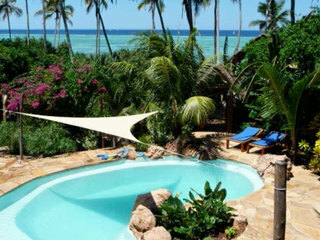 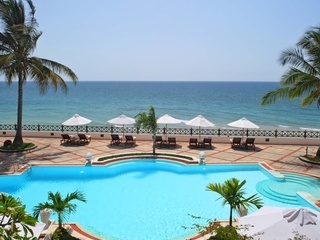 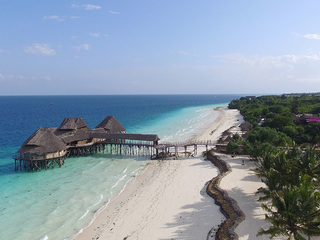 Matemwe Lodge is a lovely low-key relaxed beach lodge with a fantastic Zanzibar atmposphere, and lush tropical gardens that reach down to the edge of a beautiful lagoon, it is a real favourite on Zanzibar. 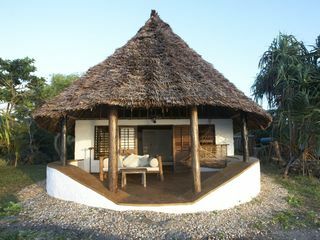 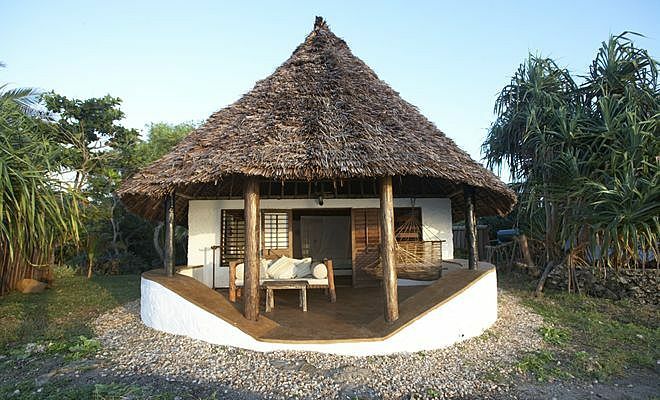 Matemwe Lodge has 12 chalets each built using local materials and set within lush gardens. 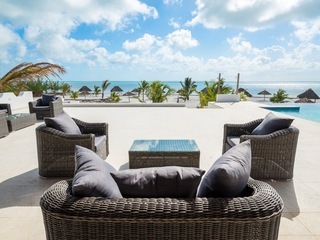 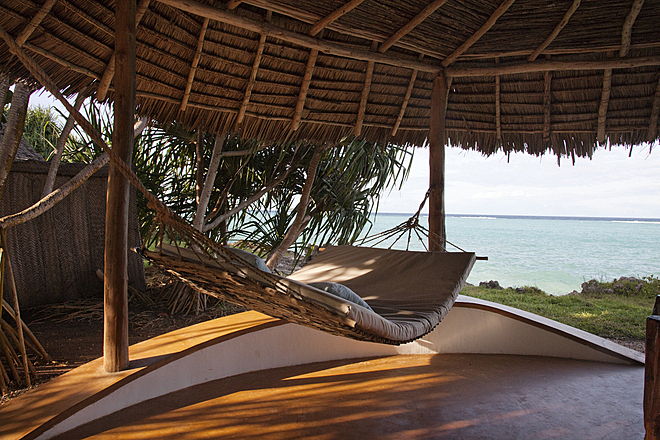 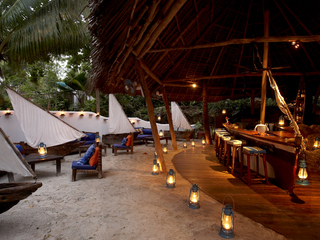 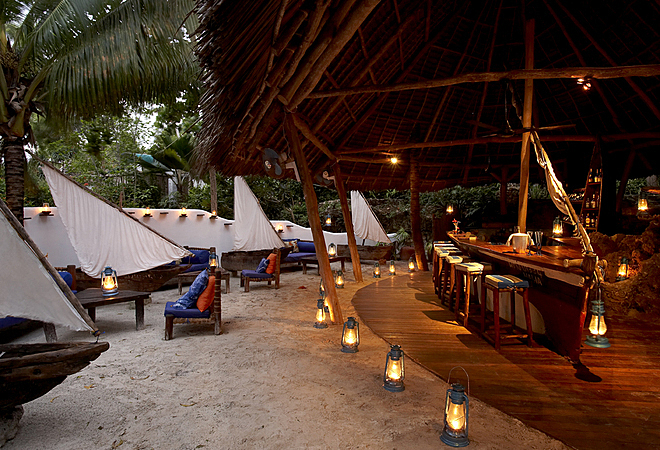 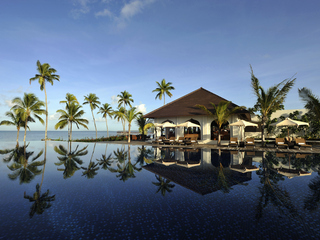 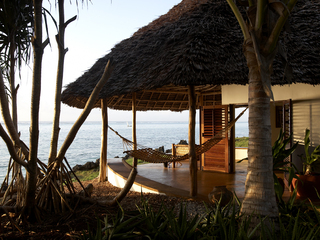 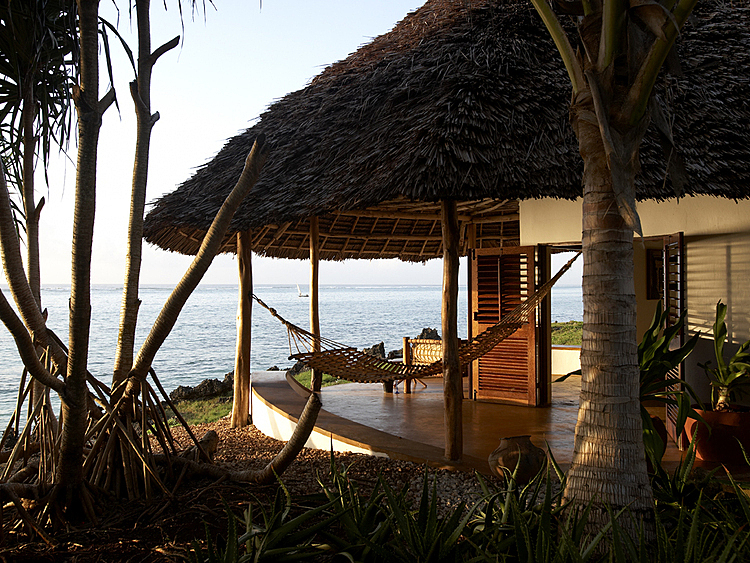 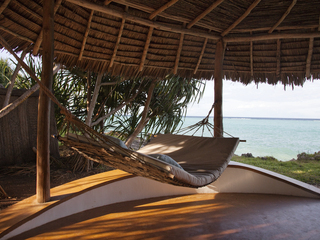 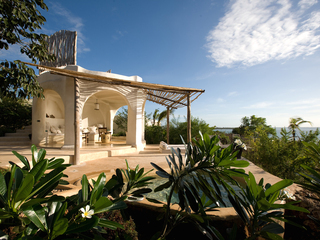 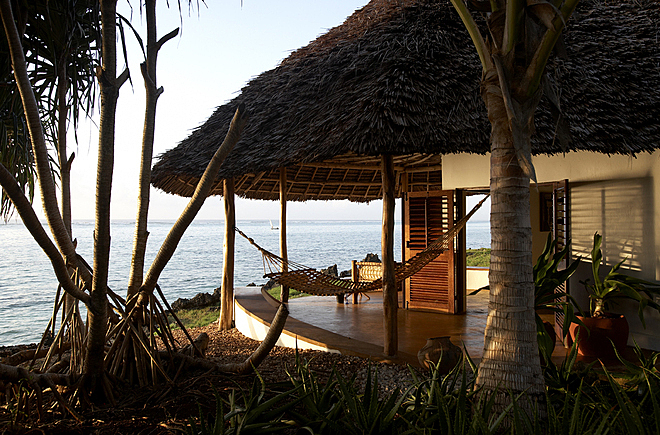 Each of the chalets has a private veranda with hammock and sofa, with spectacular views of the Indian Ocean. 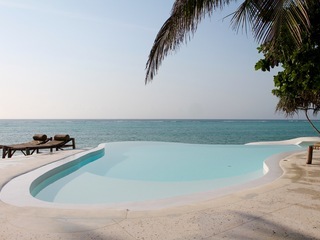 Six triple-bed chalets are available, and there are two that have a private plunge pool. 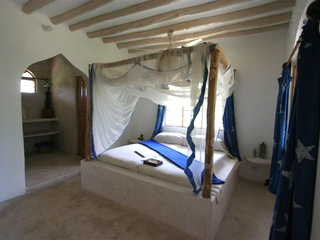 The large bathrooms have a deep bathtub and walk-in shower, and beds are all enclosed by mosquito nets. 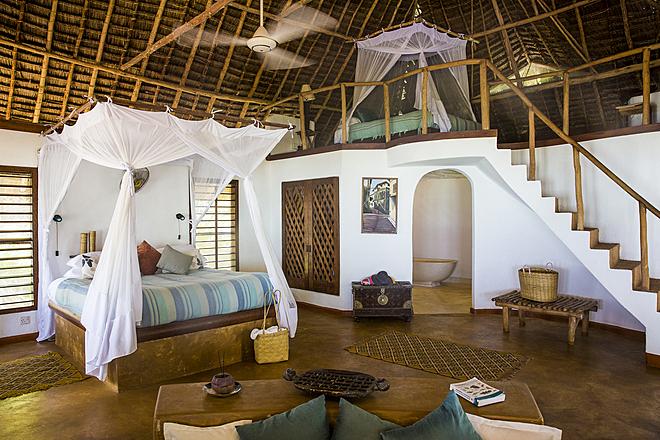 Accommodation at Matemwe Lodge is fully inclusive, with a mix of gourmet-style cooking and traditional Zanzibari cuisine with loads of seafood. 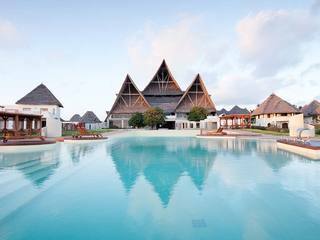 The buffet-style breakfast includes fresh fruit, muffins, croissants, cereal and yoghurts as well as a full English breakfast. 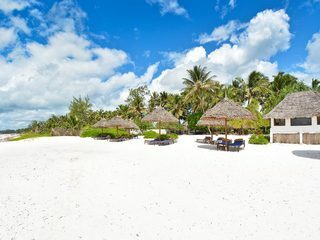 Lunch and dinner are three-course meals: choose between two starters, three main dishes (including a meat, fish and vegetarian option) and two desserts. 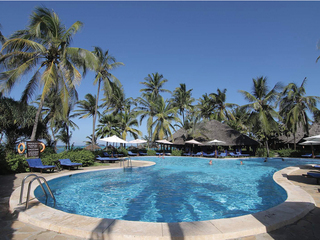 Tuesdays and Fridays are barbecue night (with a range of seafood and meats) and Sunday is a Swahili buffet, offering a large selection of traditional dishes. 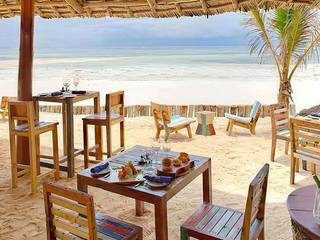 The open-air restaurant sits just above the ocean, with magnificent views of the palm-fringed beach and gently rocking dhows. 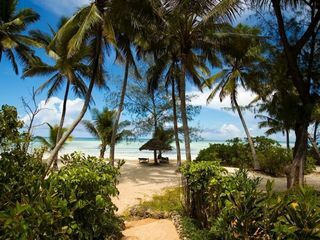 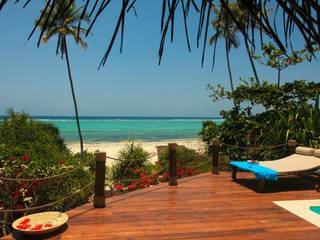 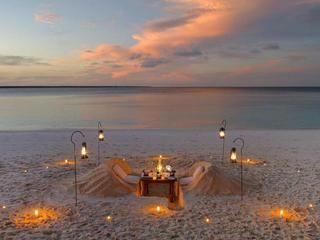 Matemwe Beach is a pretty secluded beach on the northeastern coast of Zanzibar. 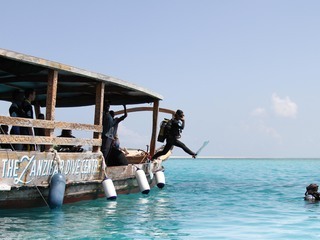 It is well situated for trips to the reefs of the Mnemba Atoll for world class diving and snorkelling (30 minute boat ride). 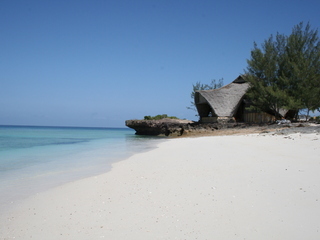 The beach is still one of the quieter and more exclusive locations on the island. 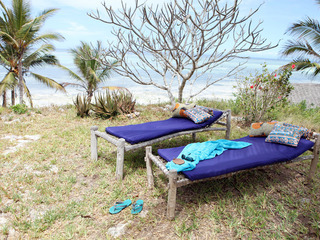 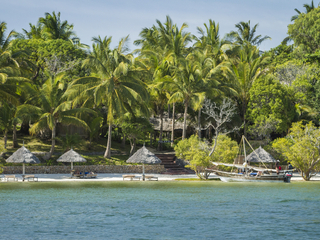 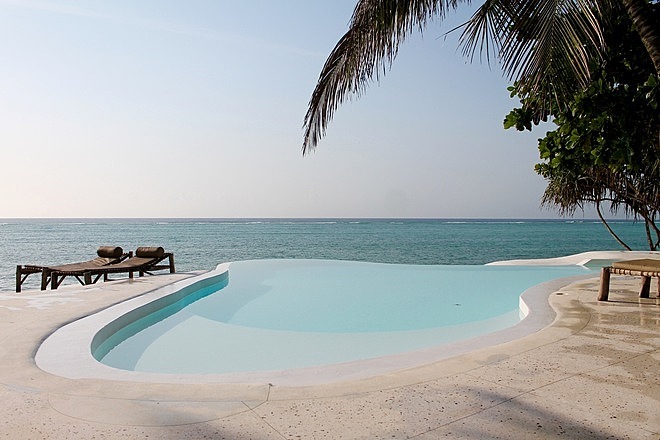 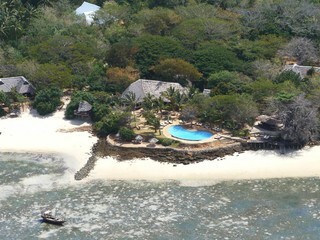 Matemwe Lodge is perched on an outcrop overlooking a shallow coral-fringed lagoon. 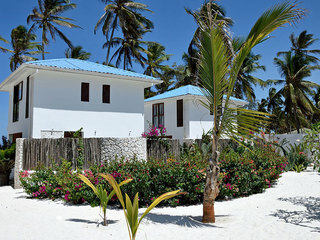 The lodge is adjacent to a long stretch of beach that has not been noticeably altered by tourism and remains an important thoroughfare for locals. 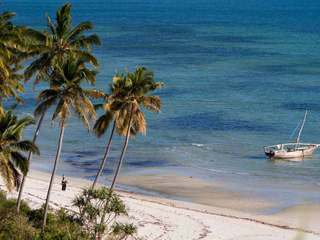 Fishing and seaweed harvesting are still key to the local economy. 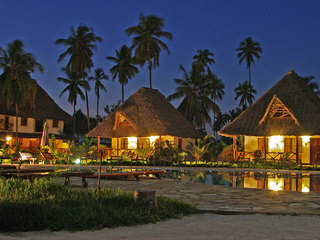 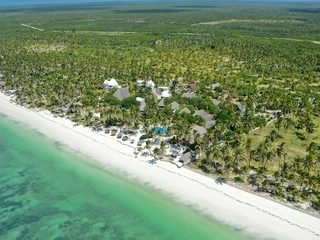 The lodge has a close relationship with the local fishing village, Matemwe Village, situated on the far side of the beach. 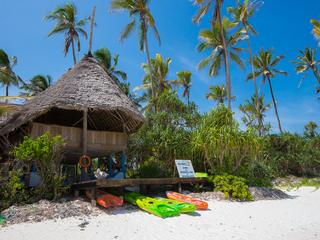 It is home to many of the Matemwe staff and many of their children attend the local school. 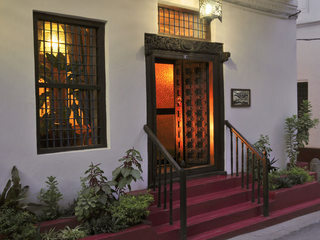 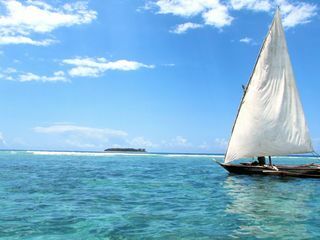 Matemwe is just 60 minutes’ drive from Stone Town, allowing for easy day trips into the winding streets of the historic town. 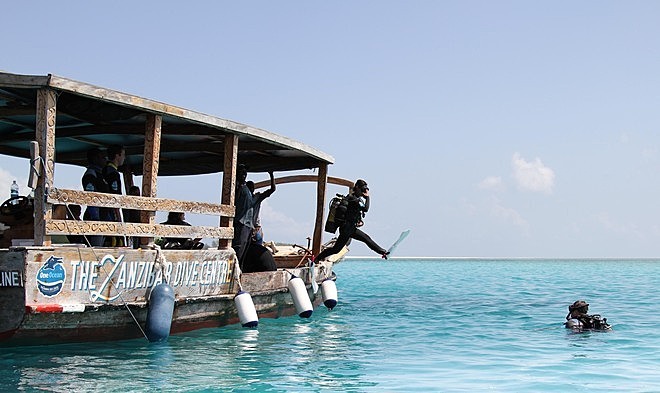 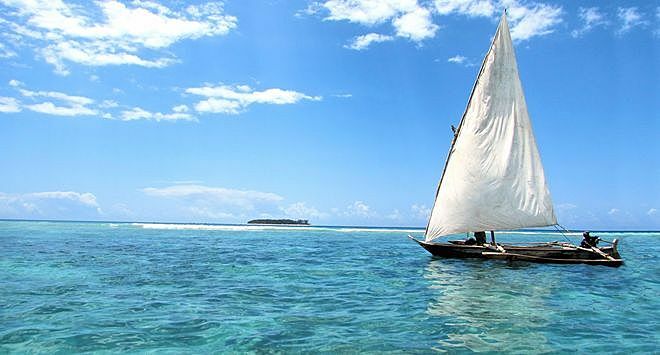 Activities available at extra cost include Snorkelling and diving at the famous reefs of Mnemba Atoll, Diving courses, Kite-surfing, Traditional sailing & fishing, Sundowner dhow trips. 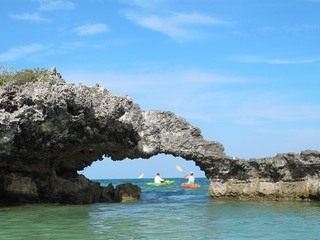 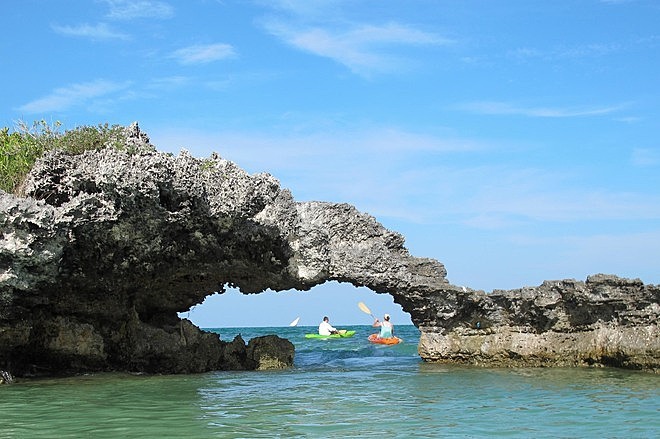 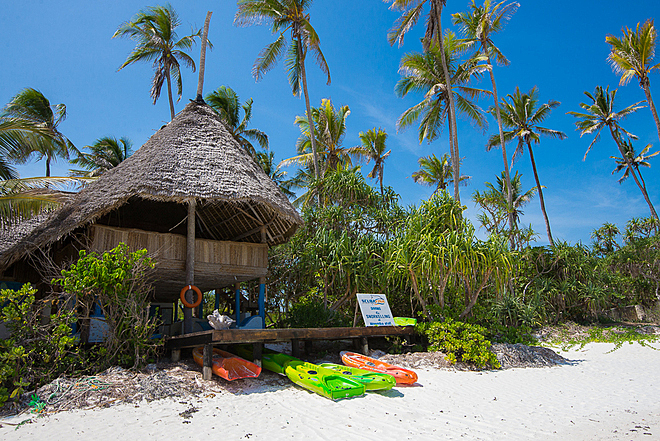 Scenic kayaking on the reef, village visits and guided reef walks are offered complimentary. 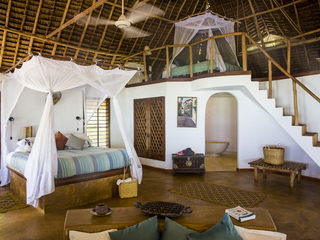 For families, Matemwe Lodge is a wonderfully relaxed low-key option. 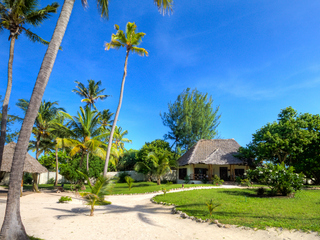 Most of the chalets can sleep upto a family of four, with parents in a large double in the main area of the chalet and children sleeping on the mezzanine. 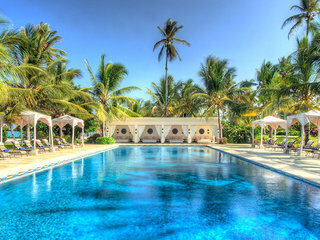 Those looking for more facilities might consider instead more resort-like options such as Barazza or Breezes.